Brownsville Federal Criminal Defense Attorney - Oberheiden, P.C. Want the Most Experienced for Your Federal Case in Rio Grande Valley, Texas? 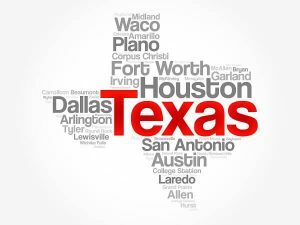 There truly is no shortage of lawyers in Brownsville-Harlingen, Texas and Cameron County. However, look for yourself: how many lawyers can you find who only practice federal law and have avoided criminal charges in hundreds of federal criminal investigations involving the FBI, DEA, IRS, OIG, the U.S. Attorney’s Office, Homeland Security, and the Department of Justice? United States v. Client: Dismissed. United States v. Client (Qui Tam Action): Dismissed. DEA Search Warrant (Controlled Substances): No Charges. DEA Opioid Investigation (Physician): No Charges. DEA Overdose Investigation (Physician): No Charges. FBI Health Care Fraud Case: No Charges. OIG Medicare Fraud Investigation: No Charges. Grand Jury Subpoena (Kickbacks): No Charges. Grand Jury Subpoena (Controlled Substances): No Charges. FBI Severe Computer Crime Case: Probation. Prosecutors at the U.S. Attorney’s Office in Brownsville (600 E Harrison St, Suite 201, Brownsville, Texas 78520) and through the Valley have significantly intensified federal investigations throughout South-Texas. The following is a summary of the most frequently asked questions clients from Brownsville and throughout Texas pose to federal criminal defense lawyer Dr. Nick Oberheiden. How Do I Know That I am Under Investigation? There are different ways to become aware of or to find out that somebody is under federal investigation. The most obvious way to find out is when you receive correspondence from the Brownsville U.S. Attorney’s Office asking for records or informing you that you are a target of federal investigation. Similarly, when investigating a case, federal agents often try to contact or interview targets or subjects of an investigation. Any of these events should prompt you to immediately seek legal advice. Less obvious are those early stages of an investigation when rumors begin to circulate about a potential case. Only an experienced federal attorney may be able to put the little pieces together for you, advise you whether or not an investigation exist or is likely, and what to do to avoid formal prosecution. Who Is Involved in Federal Cases? Generally speaking, the chances that your phone is wiretapped are very small if you are not part of an organized crime case. Because wiretapping requires the approval of a federal judge and significantly intrudes your constitutional rights to privacy, phone interceptions do generally not apply in an ordinary federal investigation. Nonetheless, you should always act, write, and talk as if your conversation is being monitored. That means, caution is in order and nothing is more counterproductive than writing incriminating text messages. Will My Phone Be Wiretapped? Why Is the DEA Prosecuting Doctors in the Valley? Indeed, physicians and pharmacies in Brownsville are declared targets of federal prosecutions. Ever since the Justice Department formally instructed prosecutors to identify and prosecute the highest opioid prescribers in the country, DEA agents across the valley, across Texas, and across the United States have raided, arrested, and prosecuted controlled substances prescribers of all specialties. The basic allegation is that these physicians have violated 21 U.S.C. 841 and 21 U.S.C. 846 by unlawfully dispensing controlled substances lacking medical necessity. The government’s contention is that unnecessary and excessive opioid prescriptions cost the national opioid crisis. What Is a Federal Conspiracy? A federal conspiracy is an agreement between two or more individuals to conspire to commit an unlawful act. Notably, under federal law, an explicit agreement or targeted cooperation among the different conspirators is not required. Prosecutors in Brownsville frequently use the charge of a conspiracy because it allows the government to simply demonstrate that each defendant contributed something to the overall success of the scheme in order to meet its burden beyond a reasonable doubt. What Are Penalties in Federal Cases? The harshness of the federal justice system is no secret. Unlike state law, almost all federal offenses are felony charges and run with sentencing ranges from 0 to 10 years (e.g. health care fraud, bank fraud) or even from 0-20 years (e.g. many forms of drug conspiracies, money laundering, mail fraud). Please call 866-Hire-Nick if you have questions about a specific offense. What Should I Do When I Receive a Grand Jury Subpoena? The purpose of a grand jury subpoena is to obtain records that will serve as a basis for the government and the members of the grand jury to determine whether a target or a subject of a grand jury investigation ought to be indicted. If your business or you individually receive a grand jury subpoena notice, you must recognize that you may be subject of a federal investigation. Before you produce any documents and before you communicate with the government in any way, you should contact an experienced Brownsville grand jury lawyer with a track record of making sure that you don’t end up with criminal charges. Should I Talk to the Feds? Never speak to federal law-enforcement without consulting and obtaining qualified legal advice first. Remember, if federal agents have a desire speaking with you, you may be part of a case irrespective of what agents might tell you. If you are even potentially part of a federal criminal investigation it may be prudent to first find out about your alleged role in the case and to appropriately prepare your defense strategy. If your lawyer encourages you to speak to the FBI or other law-enforcement agencies and you don’t know exactly why and what benefit was negotiated, you may experience an instance of unqualified counsel. What Should I Do If I Am Under Investigation? Regardless of the reason why you may be under investigation and regardless whether you consider yourself innocent, the investigation will not go away by you simply ignoring or delaying a defense strategy. What you should do if you are under investigation or think that you might, is to contact an experienced federal criminal defense lawyer serving Brownsville, Texas to get reliable advice and insight information about the process and the defense options. How Can I Find a Good Attorney? There are many good lawyers in Brownsville, but not every lawyer in Brownsville, Texas practices federal law or offers you specific experience for your case. For example, if you are under investigation for alleged opioid fraud and abuse, you must ask your lawyer candidate upfront how many opioid fraud and abuse cases similar to yours that the lawyer has handled and with what outcomes. Just like you don’t go to just any doctor if you need a specialist, you shouldn’t just hire any lawyer simply because the lawyer has a law license. Ask specific questions and don’t engage an attorney unless and until you are fully satisfied that this is the Federal Criminal Defense Lawyer that you can trust and that is respected and considered competent in the relevant Department of Justice and FBI circles. If you are a subject or target of a federal case or have questions about an investigation, you should not hesitate. Once you are on the government’s radar, you need an experienced federal defense lawyer who knows how to advise clients effectively and how to protect your interests in a federal case. Brownsville federal criminal defense attorney Dr. Nick Oberheiden is available to discuss your situation free of charge and 100% confidential. The Law Office of Oberheiden, P.C. also offers other kinds of Criminal Defense representation, call for more information.